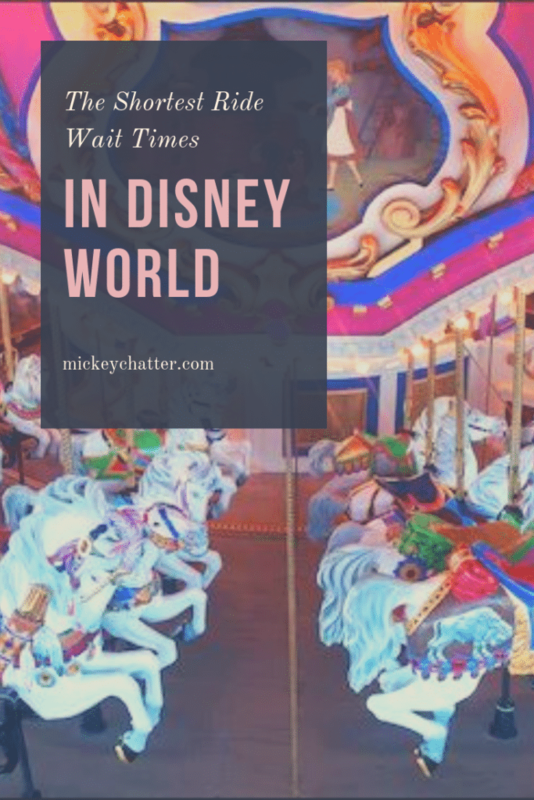 Disney World is full of magical moments and fun times with your family, but there is one part of a Disney vacation that isn’t always so magical – waiting in line. There are a lot of lines to wait in at Disney – rides, character meet & greets, ordering food, waiting for the bus… the list goes on and on. Of course there are ways to minimize the time you spend in line. Some of the important things you’ll want to know about before your trip is How To Navigate the Fastpass System and How to Use Mobile Ordering. Also, try and be at the parks when they open because that first hour in the parks will see the shortest lines of the day. 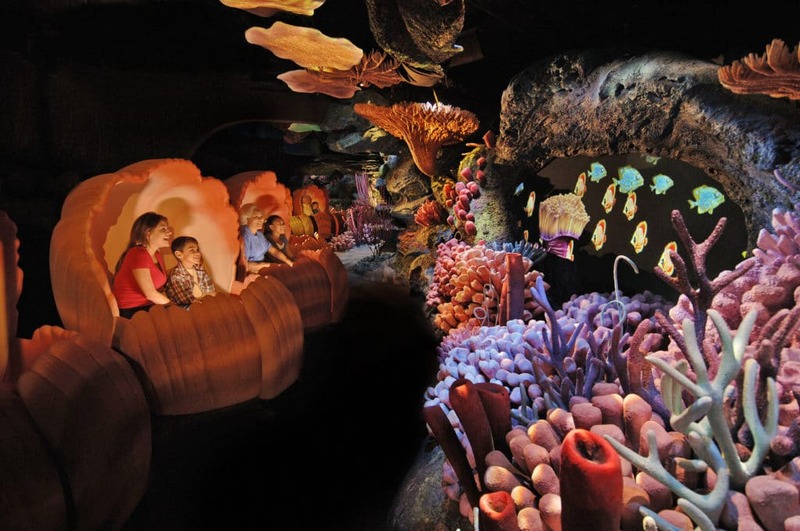 With those strategies, you’ll be well set up, but it’s also good to know which attractions usually have the shortest wait times so that you don’t waste that first hour in the park on them. Save them for later in the day since they will have the shortest waits in the park. Here are the rides that I have found always have short wait times. Of course, if you are going at a very busy time of year, such as the holidays, then this may not apply. This typically refers to your every day moderate crowd levels. This ride is located in Epcot in The Land pavilion. I don’t think I have ever even seen a line for this ride. Every time I have done it, it has been a complete walk-up, and this has been true at any time of day. The ride tends to be more educational than thrilling, so I think a lot of people end up skipping it. I think it is a great ride to rest your feet and you’ll get to sneak a peek at where they grow some of the food they serve in their restaurants. I find it really cool to see how much food they grow and how they do it. They really are innovative with how they do things at Disney, so I always find this ride fascinating. You’ll find this one in the Mexico pavilion in Epcot. 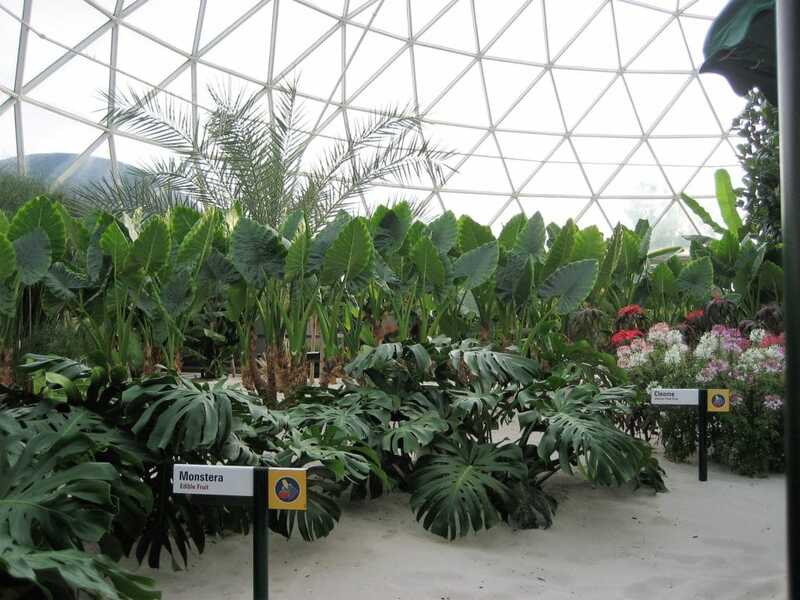 It is located inside, so if you need to escape the heat, this is a good option. I’ve seen lines for this ride before, but they never seem to be that long of a wait. The line moves fast, I think I’ve waited about 5 to 10 minutes at the longest for this ride. It’s a slow boat ride through Mexico and you’ll get to see some pretty scenes. You’ll also be entertained by The Three Caballeros along the way. Relaxing and fun for kids! You’ll find this classic ride in the Magic Kingdom in Fantasyland. 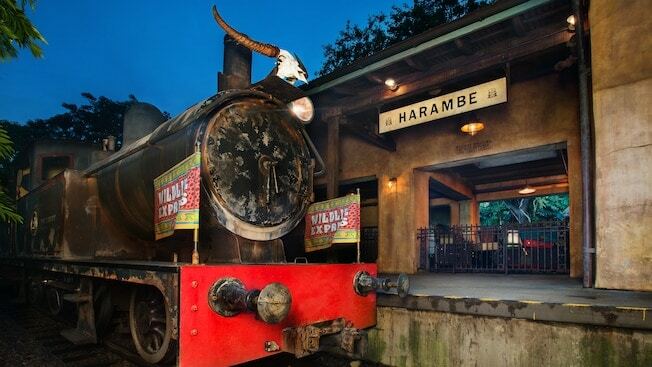 I definitely would never get a Fastpass for this ride, it seems like the lines are always short. And even when they are at their longest, it moves fast. I think the reason why you never see long lines for this ride is because a lot of people skip it because of the spinning factor. 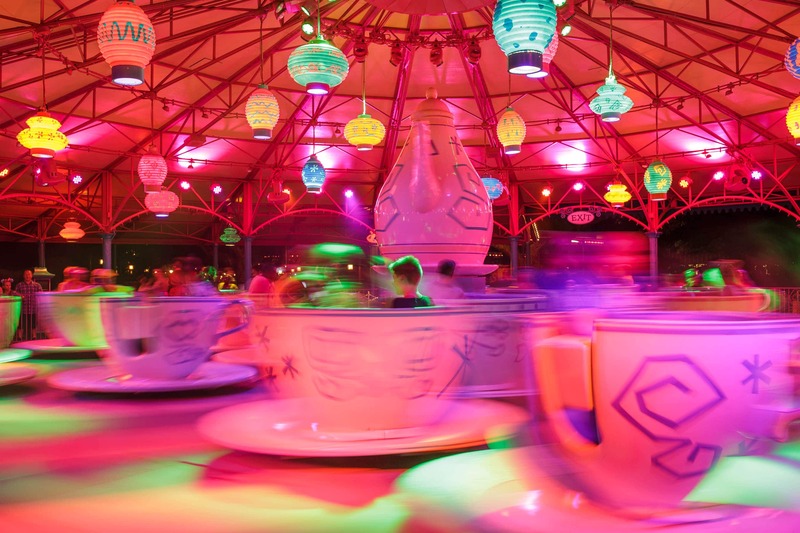 If a little spinning doesn’t bother you, then make sure to hit up this ride, because it will be a short wait. Another Magic Kingdom classic in Fantasyland, it is always fast and easy to get on this ride. Since it fits so many people at once, it fills up quickly, which is what makes for such short lines. Any time of day, and this ride will be a good choice for short lines. This is one of my favorite rides in Magic Kingdom. You’ll find it in Tomorrowland and it rarely has long lines. Even if there is a line, it usually moves pretty fast since the ride loads quickly. 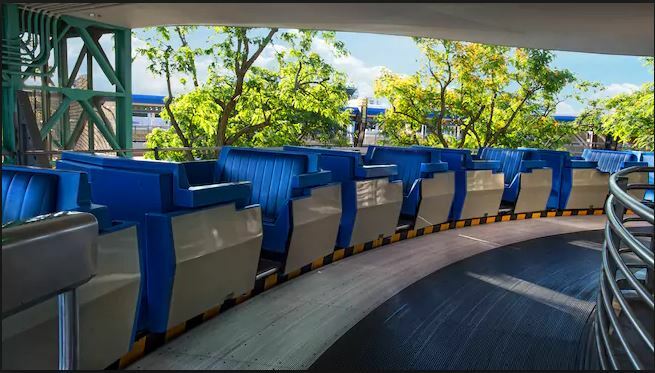 It is a nice, relaxing monorail style ride that will take you on a tour through Tomorrowland. Kick up your feet and enjoy the ride! A classic ride in the Storybook Circus area of Magic Kingdom. Since they have added the second section of this ride, I find that the lines are always pretty quick to get through. One side is for stand-by and one for Fastpass. The average wait time I usually see for this ride is 15 minutes, but whenever I have gone through with that wait time, it feels more like a walk-on. An oldie, but a goody! This is a great ride in the Tomorrowland area of Magic Kingdom for you to rest your feet and cool off. 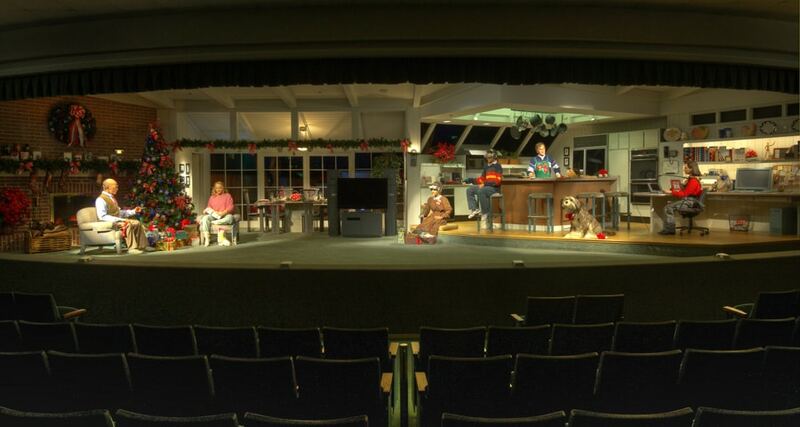 Well, not really a ride, more of a show, but the theater rotates, so that counts as a ride, right? I’ve never seen a line up for this attraction. At most, you have to wait until the next rotation comes around to go in and be seated, but that will maybe be around a 5 minute wait. This is a great ride in Magic Kingdom to help you travel to different parts of the park without having to walk through the crowds. The longest you’ll have to wait is until the next train arrives because there is almost always a seat for everyone once it arrives. The train has stations at the Main Entrance, Frontierland and Storybook Circus. This form of transportation in Animal Kingdom will take you to Rafiki’s Planet Watch (scheduled to re-open summer of 2019). There are never long lines for this train and you’ll get to see some of the backstage areas of the park along the way. Also, I find Rafiki’s Planet Watch kind of cool, so definitely worth a ride over. 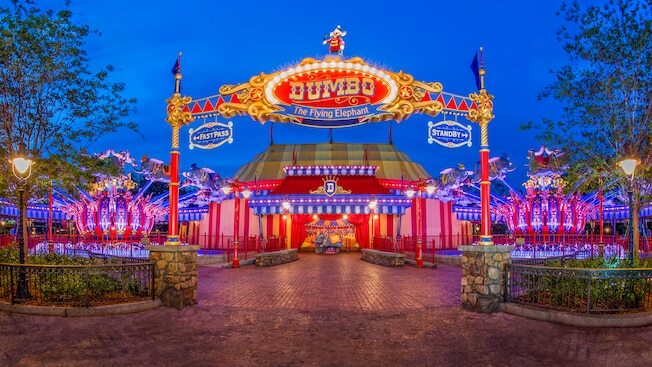 This “Dumbo-style” ride in Animal Kingdom is located in the Dinoland area. Lines are usually pretty short for this one and do move fast. I guess it is one of the reasons why they do not offer Fastpass for this ride! This ride is located in Epcot in the Future World area. In all my years traveling to Disney World, I have not once encountered any waiting for this line. It seems like it perpetually has a 10 minute wait time, but I think that is counting the time it just takes you to walk through the queue. The line area is pretty lengthy to walk through, so that is the most it takes to get on this ride. Now that you know how to find the shortest wait times and maximize your time with hitting the parks at opening, you are all set! What are your favorite rides that always seem to have short wait times? Tell us in the comments below!